CAIR Coalition staff meets regularly with the girls and boys who are today’s front page news, helping them to understand the complex detention and deportation system they face immediately upon their arrival. Our staff has heard hundreds of stories from these youth over the years that this crisis has been unfolding, and we see patterns. 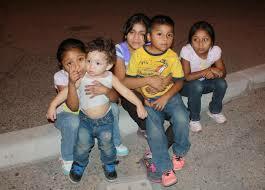 We know these boys and girls are fleeing brutal violence. Some have escaped ongoing sexual and physical domestic abuse, for which the police provide no recourse. Others were forced into child labor in dangerous conditions because of extreme poverty. Underlying is the threat of gang violence, so pervasive throughout Honduras, Guatemala, and El Salvador that there is no escape – not at school, not at home, not on the streets. And in the gang wars of Central America, children are the easiest targets for predators whose governments cannot or will not control them. Boys in early adolescence must choose between gang recruitment or brutal harm or death, and girls face kidnapping and sexual slavery at the hands of older men who consider them property.